We wish these recipients success in their projects and support their efforts for snake conservation and education. 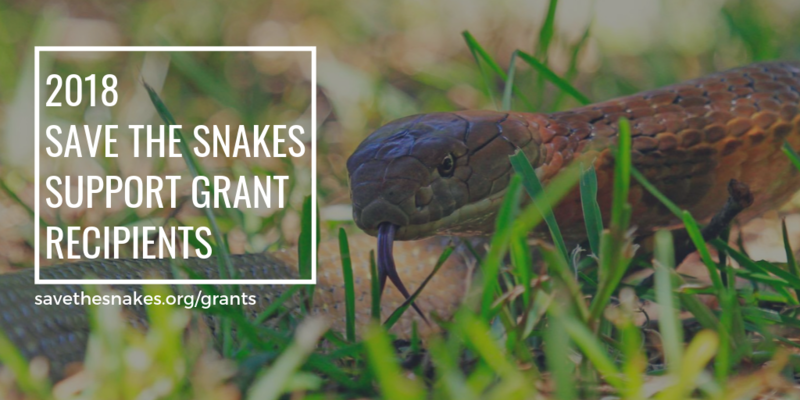 Save The Snakes Support Grants are made possible because of the generosity of compassionate people and organizations who are inspired and dedicated to protect threatened snake populations and mitigate human-snake conflict around the world. Your charitable, tax-deductible donation, makes initiatives like the Support Grant possible. Please donate today and thank you for your support of Save The Snakes. The 2018 Save The Snakes Support Grants Program is supported by the Herpetofauna Foundation and the Georgia Reptile Society. With this new partnership, Save The Snakes and these organizations are working together to empower wildlife conservationists to conduct critically needed snake conservation efforts around the world.